We have 118 years of funeral service history in the Wyoming Valley. A family history in caring for client families from all walks of life. Each family comes to us because they know we are leaders in our profession dedicated to superior client family service, have the highest integrity, and offer quality and value to them. When we sit down with a client family, we have just one goal: to create a fitting, memorable and affordable service for their loved one. 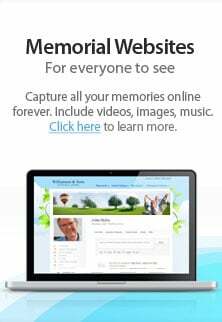 We offer a wide variety of services and products, as well as a wealth of creative ideas and suggestions.Together, we'll design a memorial or funeral service that suits their needs now, and in the future. Client families who come to us know that years from now, they will have deep peace-of-mind because, in coming to us, they have done their best to honor their loved one. In 1898, the United States was at war with Spain, New York City's five boroughs were merged, neon was discovered, the first automobile was sold, and, while much less significant, M.J. McLaughlin began operating as an 'Undertaker' in Wilkes-Barre. He quickly became a leader in the profession and was known for providing first-class service to families who called upon him in their time of need. The original location was remodeled and expanded three times in the following decades to meet the demands of the growing business. During this time, innovations such as the first automobile hearse in the Wyoming Valley, were introduced to the public. His sons, Michael J. and Robert J., joined him as funeral directors and M.J. McLaughlin Company was incorporated in 1928. Soon thereafter, the first purpose-built funeral service facility in the area was opened (it remains our principle business location today). Through the years, branch offices were operated in the East End section of Wilkes-Barre, Ashley and Kingston. Succeeding generations have maintained that spirit of ingenuity established by our founder over many years. Our needs have changed with those of our client families, especially over the past twenty years. Technology has become an integral part of our client family services. Today, we are able to create events with facets that were not even conceived just a few short years ago. Our fourth generation of family ownership and operation has made the commitment to acquiring and maintaining the finest in technological advances as they relate to funeral service. This allows us to provide our client families with unsurpassed service, incomparable facilities, first-class professional vehicles and a virtually unlimited number of customizable options for their life celebration events. Thus, creating the best value in funeral service in the area. Born and raised in Wilkes-Barre, Katie is a daughter of Jack and Anne Mulvey Mulroy. She received her education at E.L. Meyers High School and King’s College in Wilkes-Barre. Katie began working at the firm in 1986, and became a partner in 1997. Born and raised in Wilkes-Barre, Tommy is a son of the late Thomas V. and Christine Jeffrey McLaughlin. Following his formal education at E.L. Meyers High School, Villanova University and the Simmons Institute, he completed his requirements for professional licensure in the Commonwealth of Pennsylvania and received his license in January 1989. That same year he was named supervisor of the Wilkes-Barre location. Tommy is a fourth generation partner and licensed funeral director, and has assisted more than four thousand client families in the planning process. He is responsible for all aspects of service to client families, and is always available to assist client families with needs and questions pertaining to life celebrations. Katie and Tommy live in Wilkes-Barre and have been blessed with three great children: Maggie, T and Cormick; and two beautiful granddaughters, Kit and Piper. They are members of the Parish of Our Lady of Fatima at the Church of Saint Mary of the Immaculate Conception where Tommy is a lector and member of the finance and pastoral councils. They can often be found running the streets of Wilkes-Barre and Kingston at some time between 5 and 8 AM...please give a friendly beep and wave because they can't always see you through your windshield.